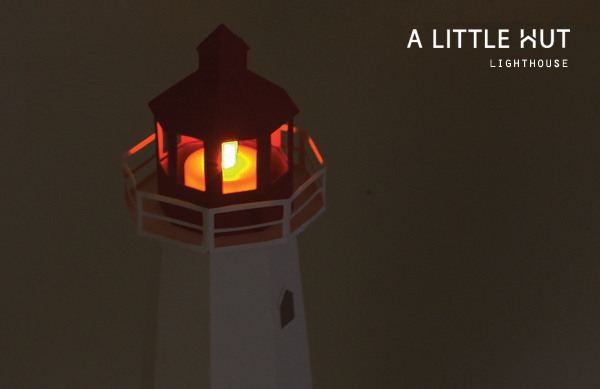 A Little Hut - Patricia Zapata: a lighthouse! This has been one of those projects that I've been mulling over for a while. Once I sat down to actually make it I couldn't stop myself from just finishing it. Let's just say that I was a few minutes from sunrise on the day I completed the design (can't get over the night owl habit)! 1. a cake topper (not using the bottom of the box). I can see a sea themed green/blue cake that follows the lines of the box. I think that would be cute! 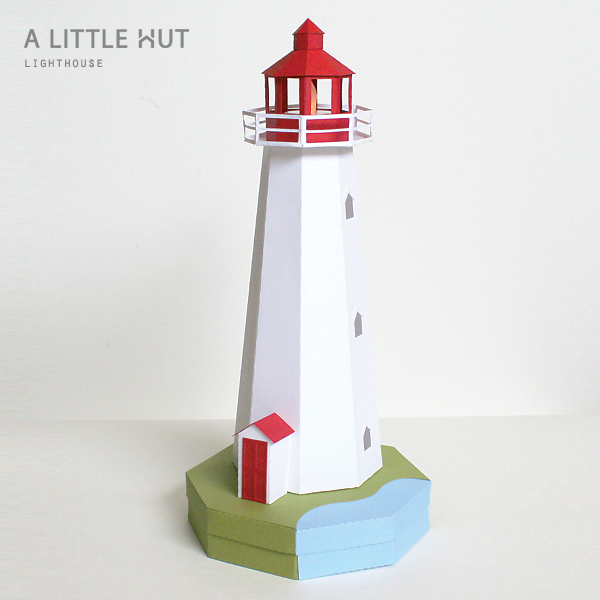 Oh- suggestion: how about cutting out an octagon piece of parchment paper to put under the lighthouse so that it doesn't get frosting on it and it can be saved after a party. Yes? 3. a gift or storage box (inspired by my idea of adding a matchbox to the Nutcracker instead of making a simple base). 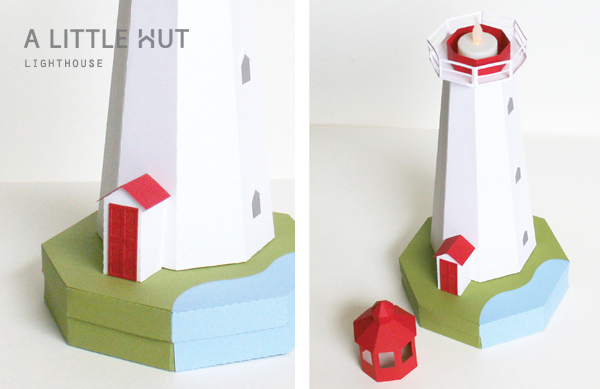 This project has 42 pieces but it's simple to make—really! If you've made my Gazebo or Nutcracker you can definitely make this. 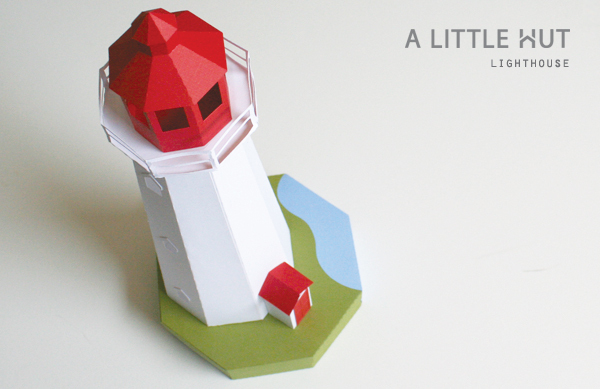 You can order the lighthouse in the shop here! 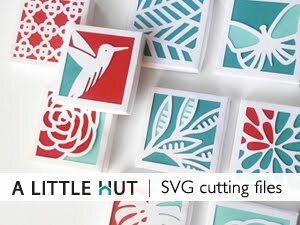 And don't forget that today is Friday and there's a new freebie on the site!